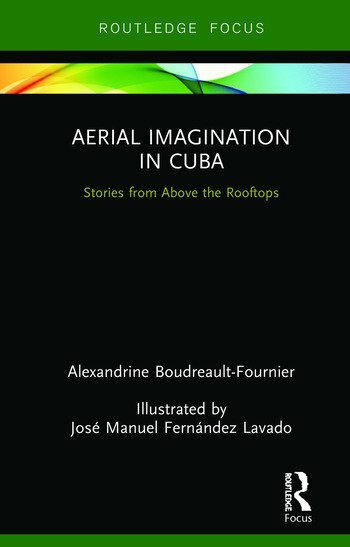 Aerial Imagination in Cuba is a visual, ethnographic, sensorial, and poetic engagement with how Cubans imagine the sky as a medium that allows things to circulate. What do wi-fi antennas, cactuses, pigeons, lottery and congas have in common? This book offers a series of illustrated ethno-fictional stories to explore various practices and beliefs that have seemingly nothing in common: but if you look at the sky, there is more than meets the eye. By discussing the natural, religious and human-made visible and invisible aerial infrastructures—or systems of circulation—through short illustrated vignettes, Aerial Imagination in Cuba offers a highly creative way to explore the aerial space in Santiago de Cuba today. Alexandrine Boudreault-Fournier is associate professor in the Department of Anthropology at the University of Victoria.